I love cooking other culture’s food. Truthfully, as Canadians, we don’t really have a distinct food culture. It’s starting to emerge–but it’s a slow process, as we are a young county. In the mean time, I cook other culture’s foods, and because I don’t really identify with any one culture, I claim them all. One of the things I love the most about Indian cooking is how vegan- and vegetarian-friendly it is. It’s also great for people with food allergies, as it’s easy to get things that are gluten-, egg- and dairy-free. Chickpea flour is used often, for example, and coconut milk in the place of dairy. Indian cooking tends to also use lots of vegetables, whole grains (rice at most meals), and it’s often made with inexpensive ingredients. Spice, obviously, is a huge part of Indian cooking, and those distinctive flavours of garam masala, turmeric, cumin, and curry, that transform the simplest of ingredients into something really special. One thing I often order in Indian restaurants is paneer. It’s a kind of freshly-made cheese, that has a tofu-like consistency. It’s a great meat substitute in many vegetarian dishes. My favourite is saag paneer, made with spinach. 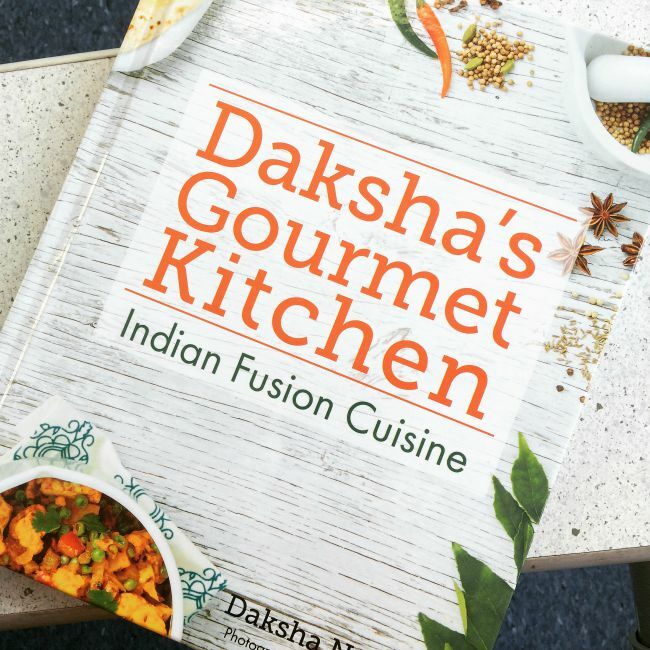 I was afraid to attempt it, but I have a new cookbook, Daksha’s Gourmet Kitchen, that walks through the process step-by-step, and it was surprisingly easy how to make paneer from scratch. In a large pot, bring the milk to a boil. Turn down the heat so that the milk doesn’t boil over. The milk should still be boiling–with bubbles breaking the surface, though. Add the lemon juice and stir well. You should start to notice the curds seperating from the whey almost right away. If the milk is not separating, add a little more lemon juice. Continue stirring until the milk is completely separated, about 5 minutes. Meanwhile, prepare to strain. I use a large bowl with a strainer inside, and line the strainer with several layers of cheesecloth or 1 jaycloth. Pour the milk into the strainer, being careful to make sure to catch all the curds in your cheesecloth. You can keep the whey for stocks if you like, or you can just discard it. Gather up the curds into the cheesecloth and make a ball out of it. Squeeze it gently to remove more of the whey. 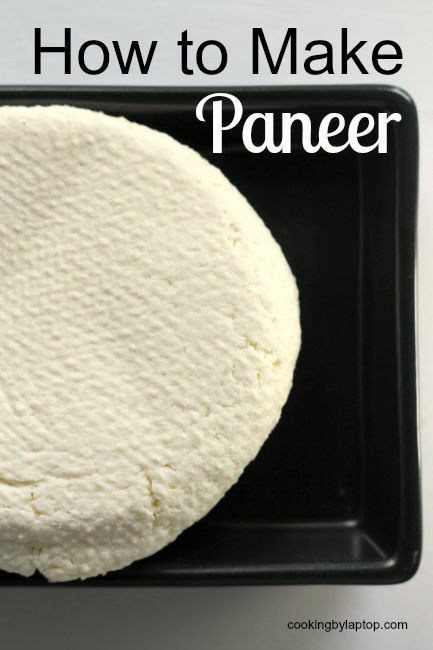 Form the paneer into a circle or a rectangle. I placed mine in the sieve inside the bowl, and then I put a heavy can of tomatoes on top of it to weigh it down and squeeze out the additional water. I left it like this overnight in the fridge. Unwrap the paneer from the cheesecloth, and discard the cheesecloth. Store finished paneer in a air-tight container in the fridge. Hey Rebecca this kind of looks like the cheese that we make on the farm back home 🙂 It looks pretty good! haha. Have fun.. see you at bcit. Yup, it’s pretty universal, I think!